In August, 37-year-old Dante Nederveld of Farmington Hills was charged with misdemeanor aggravated assault and driving while license suspended after he allegedly punched 52-year-old Matthew Wegyn in the face after the two became involved in a fight. Wegyn was hospitalized for his injuries, and died on September 3. According to the medical examiner, Wegyn died as a result of the punch to his face almost a month earlier. Now prosecutors have added a charge of manslaughter against Nederveld. On August 9, police responded to reports of a fight at the Flamingo Mobile Home park on Middlebelt Road. The altercation reportedly occurred at approximately 1 a.m., according to a news report at the Farmington Voice. A police officer who responded to the scene was speaking with Wegyn and two others when Nederveld appeared suddenly from behind a vehicle and punched the victim in the face. News reports indicate Wegyn struck his head on the pavement after falling backward due to the blow. He was transported to an area hospital after being treated at the scene by fire department personnel, and Nederveld was arrested on the spot for assault. After conducting an autopsy, the medical examiner determined Wegyn’s death to be a homicide. Nederveld was arraigned on the involuntary manslaughter charge on September 15, and is expected to appear for a pre exam conference on September 25. If convicted, he could face up to 15 years in prison, a $15,000 fine, or both according to news reports. Now that the charges against Nederveld include manslaughter, the potential consequences have become far more serious. Aggravated assault, one of the charges Nederveld faced before Wegyn died, is a misdemeanor offense carrying penalties which include up to one year in jail and/or a $1,000 fine for those found guilty. He may now face many years behind bars if convicted. Those found guilty of serious crimes often face punishment including jail/prison time, fines, a criminal record, and more. However, the punishment doesn’t stop there. Careers and reputations may be ruined, as well as family relationships. A conviction for manslaughter or any violent crime can change a person’s life forever – and in some cases, those who are innocent of the allegations against them are innocent. 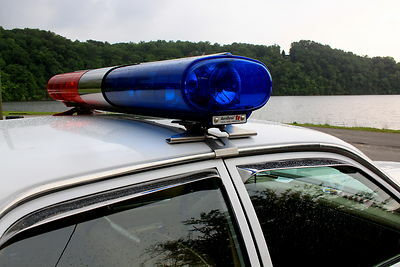 Regardless of the circumstances, the first step anyone should take when arrested or under investigation for a crime is to consult with a skilled and dedicated Michigan criminal defense attorney who knows how police and prosecutors work, who will protect your legal rights, and who will fight vigorously from the beginning in order to obtain the best possible result.